After all the hype and all the build-up, Russia 2018 delivered in a big way. 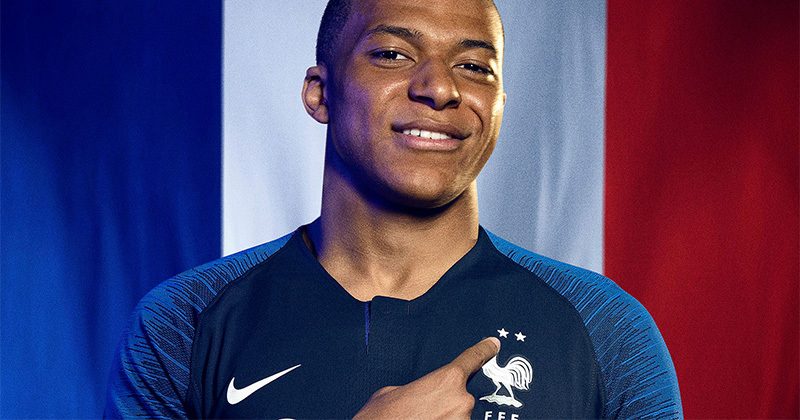 We had late goals galore, the trials and tribulations of VAR and the coming of age of a certain Kylian Mbappé Lottin. 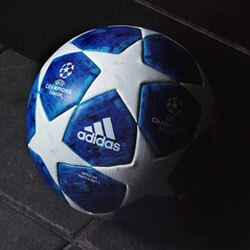 Brands decorated the streets and pitches of Russia with designs that will stand the test of time. 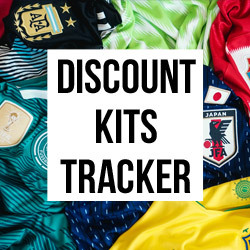 Every World Cup is special when it comes to shirts and boots, but the variety and popularity of what we’ve seen this particular summer has helped cement the argument that we are in a golden era for gear. The battle for brand supremacy also took a decisive turn. After an all-adidas final in 2014, the tables were turned completely with an all-Nike final for the first time ever. 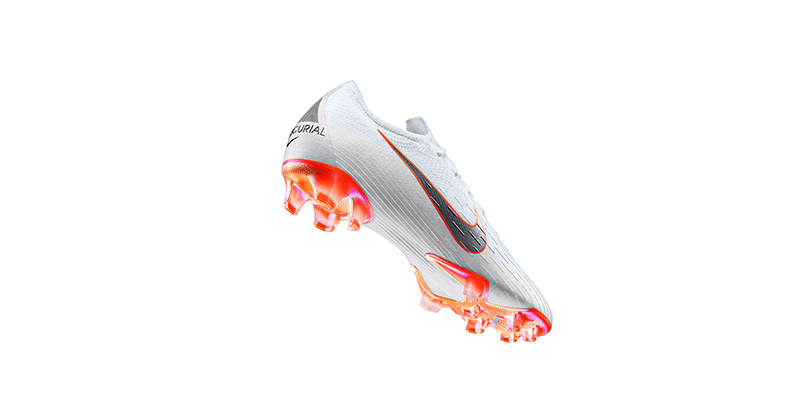 We also saw Nike’s newest iteration of the Mercurial blow away the competition in terms of goals and usage. This was in many ways the Nike World Cup. From a shirt perspective, Nike entered Russia 2018 slightly trailing their arch-nemesis adidas with 10 teams at the World Cup compared to 12 from adi. 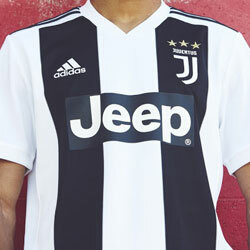 Despite having a couple less nations however, they made their intentions clear from the start with a significantly more diverse range of designs than usual (looking at you Euro 2016…) to match the impressive range of retro-tinged kits adidas had released. Both brands were bringing out the best in each other. Commeth the hour, commeth the man (at least until the round of 16). Image by Nike. Off the pitch the Nigeria shirt dominated conversation, with a win for the Super Eagles against Iceland whilst wearing the shirt only adding to the excitement around the kit. And some other strong group stage showings from the likes of Portugal and Croatia positioned Nike well entering the knockout stages. In the opposite corner, adidas were showing signs of unexpected weakness. No one could argue that their designs for Germany were some of the best in the tournament, but the spectacular exit of Die Mannschaft caught everyone by surprise. What’s more, big teams like Spain and Argentina stumbled through in what was proving to be an unpredictable World Cup. Then came the first significant signal that the adidas monopoly was truly breaking. Nike and adidas faced off 3 times in the Round of 16 (France vs Argentina, Brazil vs Mexico and England vs Colombia), and in each three matches the Swoosh came out on top. Things only got worse for adi, with Nike winning 2-1 in the three clashes during the quarter finals. Only Belgium remained as flag bearers for the Three stripes in a semi-final lineup unlike any before it. And sure enough, history was made after France prevailed to set up an all-Nike clash against Croatia. Though perhaps not immediately obvious, the significance of having two Nike teams in the final is made clear when looking at how small their representation has been in previous World Cup finals. Since 1974, adidas has made kits for 13 teams in a final, winning 5. On the other end of the spectrum, Nike had only made shirts for 3 teams, including a solitary win for Brazil in 2002. Ultimately there is only so much a brand can do in terms of maximising their chances of ‘winning’ a World Cup. Despite this uncertainty however, no one can argue that Nike have come out of this summer in a much stronger position than when they entered it. A deep run to the final did wonders for the exposure of this superb shirt. Image by Nike. 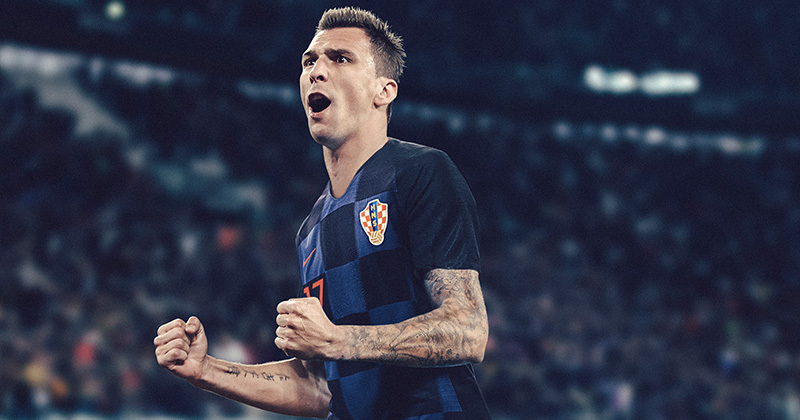 Special mention has to go to Croatia’s away shirt, which stands tall as the most enduring kit of the World Cup. As the tournament grew, Vatreni wore their black and navy number more and more and more. 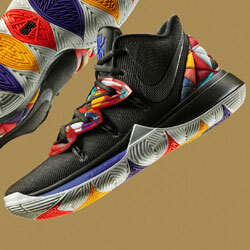 This extra usage only enhanced what is a superb colourway and design. Black and navy isn’t a common choice, but Croatia more than did it justice. Even better was the luminous red typography, the cherry on top of a shirt which has understandably been sold out for weeks. Looking at boots, the story started quite differently. Nike have a history of boots at the World Cup, with their first usage coming back in 1982. And despite their relatively poor showing on the shirt front in 2014, Mario Gotze’s winning goal in the final was scored with Nike Magistas. This year the Swoosh dominated the goalscoring charts, reaching the century mark with 101 goals scored in Nike boots throughout the tournament. adidas ended up a distant second with 37, though they did at least get a final goal with Paul Pogba’s strike. In total 16 of the 22 players that started the final wore Nike, with the remaining players wearing adi (4) and Puma (2) respectively. The 'Just Do It' Pack was absolutely everywhere, which I don't think people were complaining about. Image by Nike. 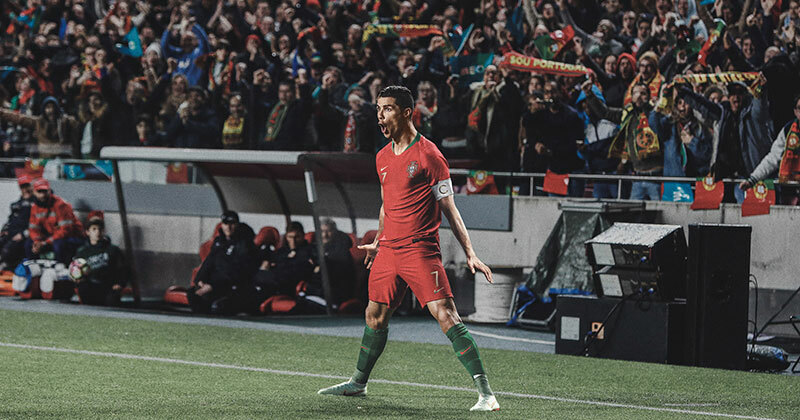 The whole World Cup was successful for Nike, with their Mercurial silo proving to be the defining boot of the tournament. Best Young Player Kylian Mbappé and Golden Ball winner Luka Modric both wore Mercurials (responsible for 64 goals across all players), and Golden Boot winner Harry Kane took home his trophy wearing Nike’s latest iteration of the Hypervenom (16 goals across all players). It was interesting to see Nike’s design approach to Russia, with an incredibly clean look across all their packs. The tasteful addition of luminous metallic soleplates, and the option for flag detailing to be used on the heel, added the perfect flashes of colour however, combining for a memorable set of boots. Though adidas’ vibrant new Energy Mode might have had less screen-time, the boots were a fitting complement to the ‘Just Do It’ Pack. The adidas X came second in the boot goalscoring charts with 17 goals, largely due to the underwhelming performances of the likes of Messi, Salah and Gabriel Jesus. When you take a step back, almost every brand had something good to take away from the tournament. Though their representation was significantly lower than previous editions, Puma were at least represented by Uruguay and Switzerland, who both produced some big wins and moments. Senegal also came as close as anyone to the knockout rounds, missing out by the narrow margin of fair play regulations in a World Cup first. 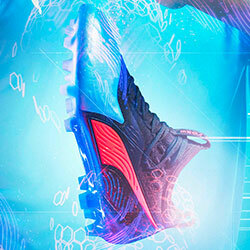 On the boot front, the likes of Lukaku and Griezmann put in superb showings of their own wearing Puma boots. As a whole the tournament was very successful for Puma considering their lower profile before the World Cup began. Elsewhere Hummel’s sole representative Denmark came inches away from a quarter final place, whilst Iceland and Erreà shocked the world with a 1-1 draw against Argentina, giving them their own moment in the sun. And who could forget the carnival that followed Peru, and their sash-adorned Umbro shirts which won the hearts and minds of millions watching. Whoever your favourite brand is, or whatever boots you prefer, this World Cup had something for you. Yes, it was particularly groundbreaking for Nike, but for anyone who is into kits and boots this World Cup served up enough treats to keep us satisfied right up to Qatar 2022. These football boots could make a massive impact on the showdown between France and Croatia.